For the USITT 2016 which took place in March in Salt Lake City, the hall “Espace Theatre Muni-Spec” of Mont-Laurier has received the “2016 Architecture Award USITTs Honor Awards”. It is presented as a multipurpose hall able to accommodate traditional performing arts events as well as configurations for cabarets, banquets, corporate events and trade shows. For this award , it was highlighted the structural grid of cross-laminated wood beams supports the roof and creates a canopy over the main entrance. It clearly communicates the importance of wood for the region and supports the local development of new technologies that add value to this natural resource with a better environmental footprint than steel and concrete. The professionals awarded this prize were “the FABG Architects” for the architecture of the multipurpose hall and “Go multimedia” as Theatre Consultant. In this beautiful month of July 2015, the Planetarium has received the long awaited LEED NC Platinum certification level. This important milestone in the Planetarium project is a recognition of the extraordinary work that the whole team has been able to deploy and this project stands out in quality and innovation. Congratulations on a great reward! 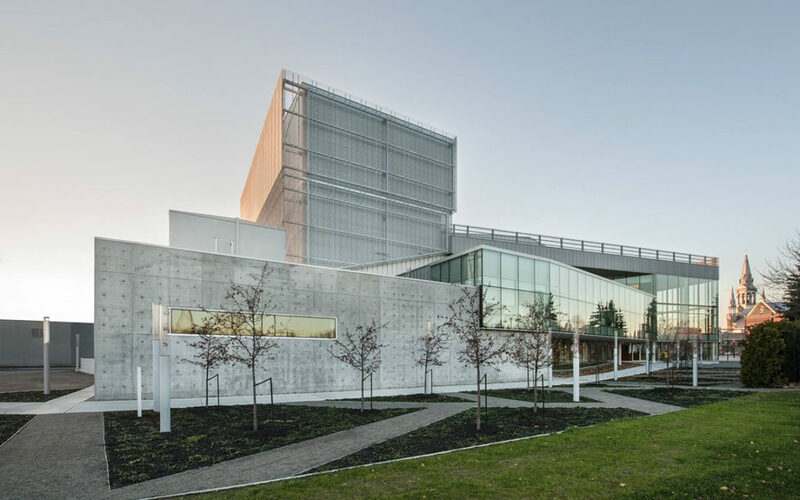 The architectural project for the future theater of St-Jérôme won the 2014 Excellence Award issued by the Canadian Architect magazine. Go Multimedia is proud to be part of this team, this great project and to share this good news. News coverage of “The acoustics palace”, dedicated to the auditorium of the Palais Montcalm (Quebec), during January 6th 2008 Discovery Program. At the heart of this story, Guy Desmarteaux explains and teaches the importance of acoustics in a hall. That of the Palais Montcalm, by its exceptional acoustics, serves as his workshop to support and illustrate his explanations. This reportage received the 2009 Roberval Award in the Television category.